Hosts Elmore Stoutt High School Rams, split their 2nd Invitational Basketball Tournament titles with the visiting Eudora Kean Devil Rays of St. Thomas over the weekend. 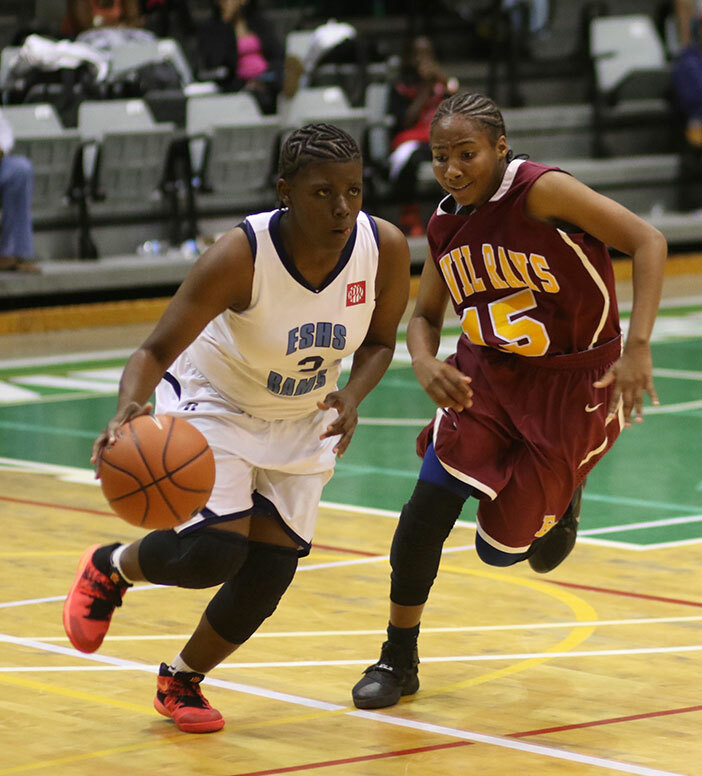 The tournament also attracted teams from Antilles of St. Thomas, St. John’s Gift Hill with the BVI’s St. Georges and the Virgin Islands School of Technical Studies (VISTS) also in the mix. After beating the Devil Rays 84-71 in Friday’s opener, the Devil Rays prevailed 84-78 early Saturday evening, to force a deciding game. The Rams overpower the Devil Rays, 74-63 in the final for the title. Franklyn Penn led the Rams with a game high 24 points and Hodge added 21. Jahkeele Stevens and Emari Howe were the Devil Rays leading scorers with 11 points respectively. Penn, who earned the tournament’s MVP award, said they didn’t play collectively in the loss to the Devil Rays. 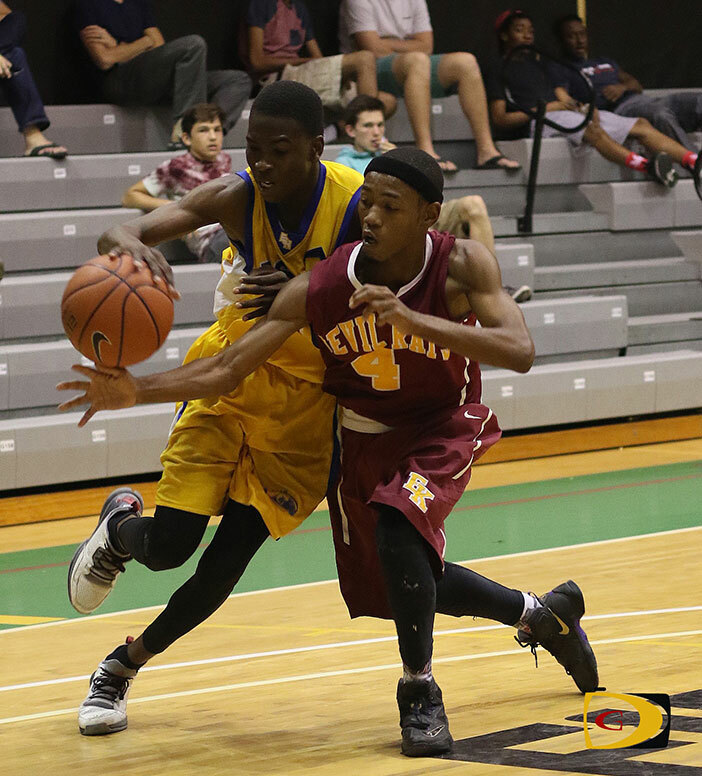 Nixon Hamilton and Tyler Jackson of Virgin Islands School of Technical Studies, won most blocks and most rebounds. The Devil Rays’ Dequan Solis and Emari Howe, grabbed most assists and most steals respectively. IAA Commissioner Kenny Todman said it’s a nice tournament and there are things they can do to improve on it which he shared with organizers. Other scores: Antilles beat St. Georges, 38-26 and VISTS, 40-29. Cook and Baron finished with 11 points respectively. Makela Pickering who had the most assists in the tournament, paced the Lady Rams with a game high 14 points. Shelcy Hodge followed up with 11. The Lady Rays bested the Lady Rams, 43-22 in their first game and Antilles, 38-8. The Lady Rams got past Antilles, 37-14. When asked what they can build on, Matthias said recognizing team’s weaknesses, taking advantage of better or easier ways to score and playing a tight, honest solid game.